It be International Talk Like A Pirate Day, 2009! 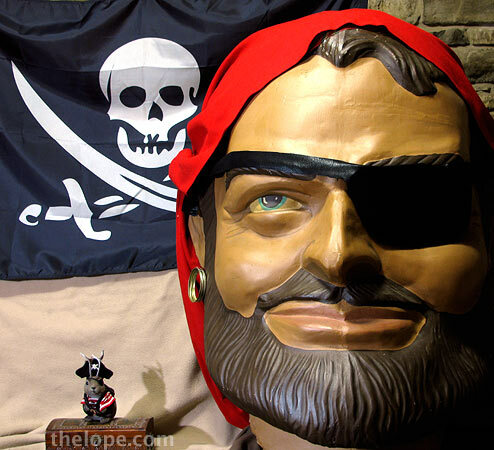 While on shore leave in Denver, at the Denver Modernism Show, I happened upon this fine treasure - the head of a fiberglass "muffler man", which was customized just for this occasion. To get some idea of what a whole one would look like, see this. Before a Yes/Asia concert in Denver this past July, we were able to meet Carl Palmer, drummer for the progressive rock group, Emerson Lake and Palmer. 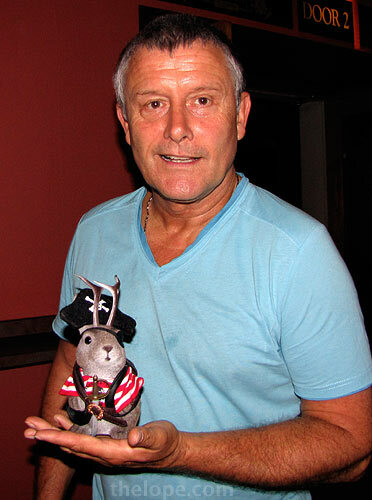 What does ELP have to do with pirates? Well, they had a fine pirate song on their "Works" album, called, simply, "Pirates." I haven't seen a lot of pirate stuff in the last year, so here are some our previous posts. In 2006 we explained the whole thing, as much as one can explain International Talk Like a Pirate Day - in Avast, me Beauties! 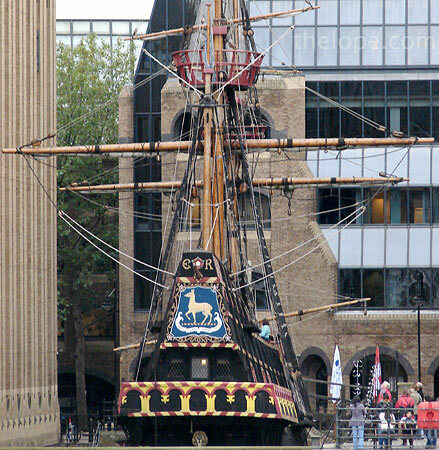 In 2007 I got a bit scholastic and looked at a real life pirate, Sir Francis Drake. 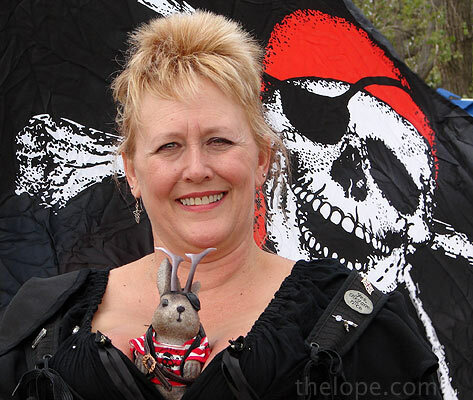 Last year, we featured some pirates from the Great Plains Renaissance Festival along with some fine wenches. Speaking of piracy, this is one of my most pirated photos. 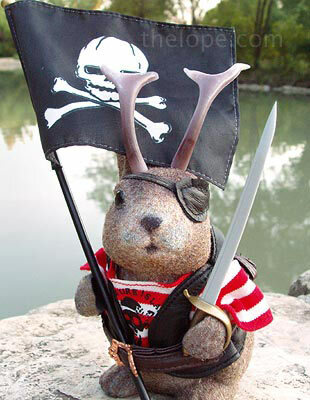 Just do a google image search for "pirate jackalope" and you'll see. The photo comes up twice on the front page the time of this writing, but in neither case is it on my website or under my control. In one case I've managed to get the photo deleted from someone else's flickr account. I'm working on the other case. 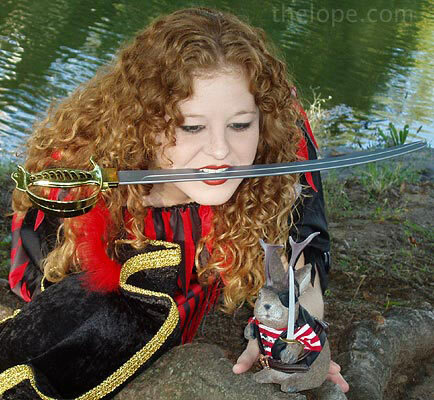 This sort of thing, by the way, is why I started watermarking my photos with "thelope.com" last year. I'm slowly going back through older photos and inserting the watermark, as I did in the photo above after it was stolen, but it takes time. The 2009 Kansas State Fair is in progress as I write this. 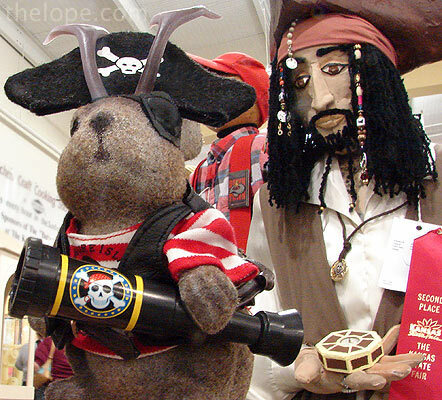 Unlike 2007 when the above photo was taken, there's an appalling lack of pirates at the fair, perhaps due to the lack of a Disney pirate movie at the moment. 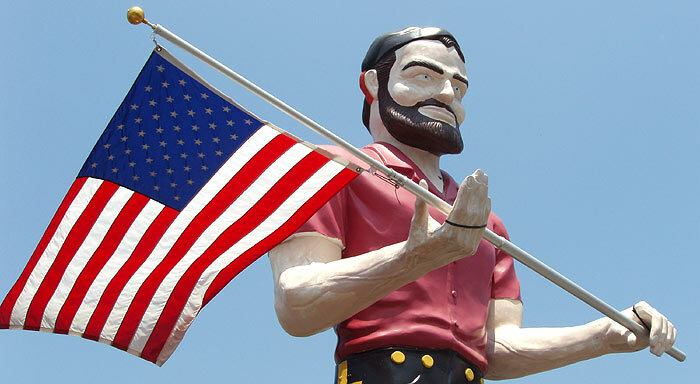 About the only trace of state fair piratical coolness I found was in the booth of Don Burton under the grandstands. 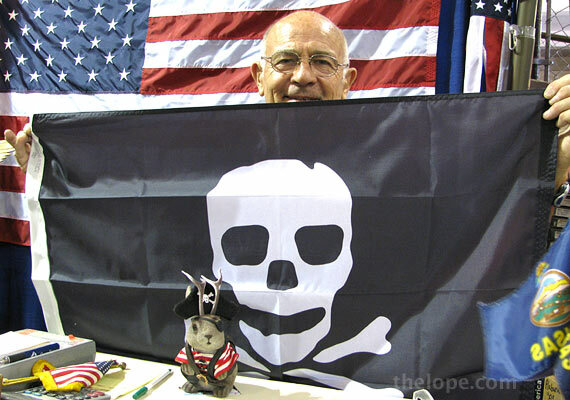 Burton sells two styles of pirate flags, including the one at top.